Majerhat bridge accident: Due to the fall of the flyover part of the Majerhat in south Kolkata, there has been a big accident. Many vehicles are likely to be buried in the accident. Rescue team ambulance has reached the spot. Relief and rescue work continues. In pictures, you can see how many vehicles are trapped above the bridge. 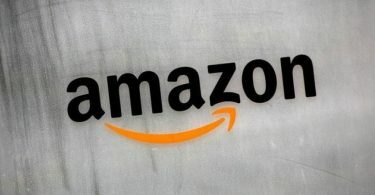 West Bengal Chief Minister Mamata Banerjee has said that the incident is very sad. I have asked the police to report this incident. Disaster management team is present on the spot. Mamata Banerjee is not currently in Kolkata she is in Darjeeling. The BJP has attacked the Mamta Government of West Bengal for this accident. BJP MP Rupa Ganguly has said in a chat with a TV channel that Mamata Banerjee’s government will reduce the loss caused by this accident. He said that Mamta Banerjee is meant only by CM’s chair. 8:20 PM IST- It’s an extremely saddening incident & even more saddening is that even though it has been confirmed from several places that 4-5 people have died, the Chief Minister is saying that no casualties have taken place: BJP’s Babul Supriyo on Majerhat bridge collapse. 7:40 PM IST- State Minister Farhad Hakim informed that all the people stranded in the accident have been taken out safely. Six injured have been admitted to the hospital. He said that the bridge was 40 years old. There is no news of anyone being died yet, but the search operation is on. 5:55 PM IST- Rescue work has been started after the accident. The army has not been called for relief work, but the accident is very close to its area. That’s why Army Field Hospital has been deployed for treatment. On the other hand, NDRF has sent 3 teams to the spot. One of these teams is present in Kolkata, which will be there sometime. Whereas 2 teams have been sent from the battalion. 5:45 PM IST- So far, there is no confirmation about the number of casualties or deaths. According to media reports, the condition of three people who were evacuated from the debris is being reported as critical. It is being told that a minibus is also trapped under the bridge. 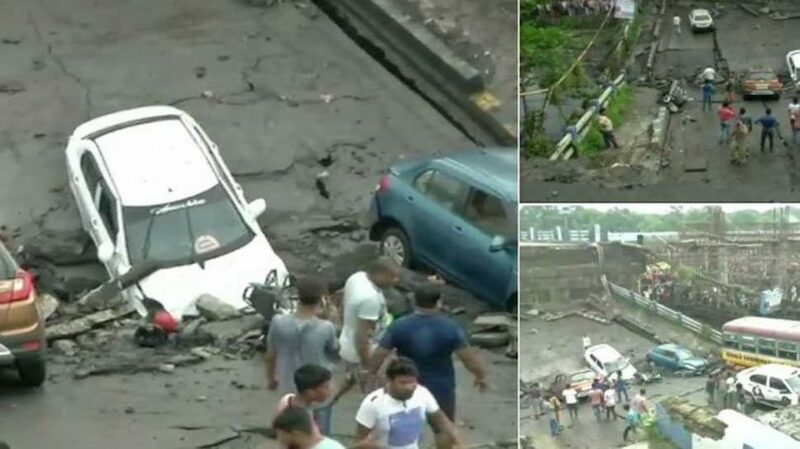 5:00 PM IST- Due to the fallover of the flyover in West Bengal’s capital Kolkata, there has been a big accident. 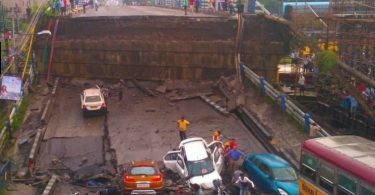 A part of South Kolkata’s Merarhat flyover broke down, in which many people are suspected to be buried. 1 died in the accident while 19 people were injured.